If you have a company, you will need a company profile to give to prospective clients, as owning a website is not the end of your marketing strategy. 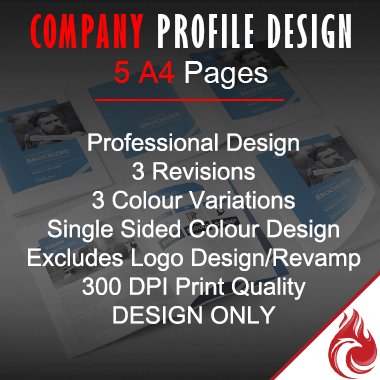 A professionally designed company profile will give you the edge over your competitors as this will show your prospective clients the best part of your business, in a professionally designed layout. We will create a professional company profile from your content and images that you supply us.